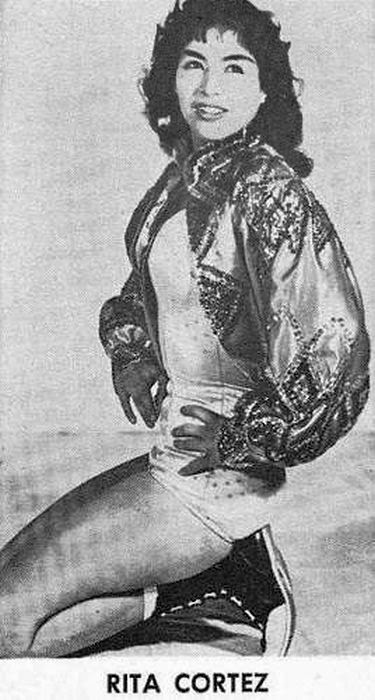 Classic female pro wrestler Yolanda Gutierrez, better known as Rita Cortez. She was trained by the Fabulous Moolah, and in her book, "The Fabulous Moolah: First Goddess of the Squared Circle" she said, "Rita was a dark-skinned Mexican girl, and I just loved her to death". But Rita went all "Single White Female" on Moolah and wound up stealing her husband Buddy Lee.